This Sunday, in place of the normal morning service, Life’s Journey will celebrate Rod Benner in a memorial service. 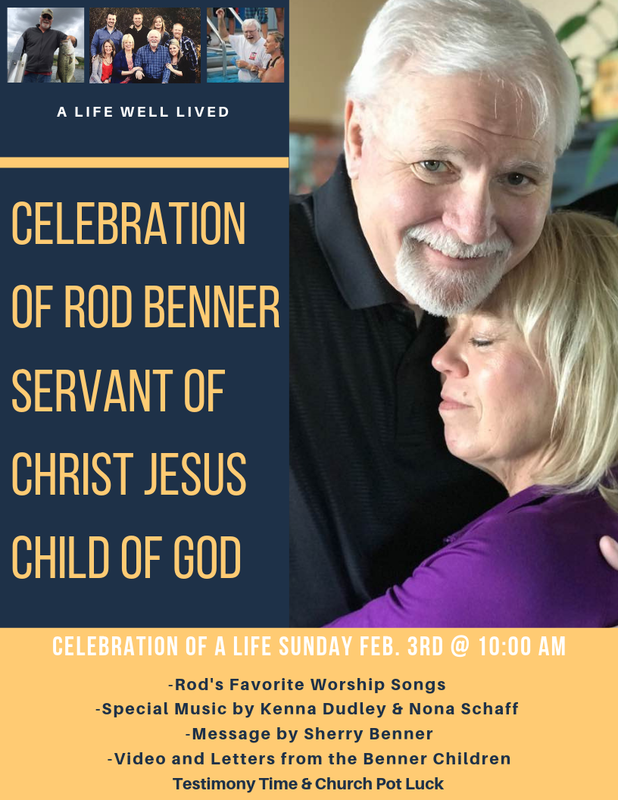 Join us Sunday morning as we praise God for the life of Rod Benner. We will sing praises to God and share stories of how the transforming power of Jesus was used to transform so many through Rod Benner. Join us this Sunday morning, February 3, starting at 10:00 AM to remember the power of the gospel as displayed through a beloved friend and faithful follower of Jesus Christ.